“Life is a journey, not a destination” Ralph Waldo Emerson famously said--an observation often quoted and misquoted along the lines of, “It’s the journey, not the destination [that counts].” As a worldview, I think the idea has merit, but when it comes to literal journeys, I often find that I prefer the destination. Particularly if the journey involves flying. It’s not simply the idea that one is hurtling through space in an aluminum tube at altitudes Icarus once attempted with disastrous results that bothers me,* but the airport experience that I find daunting. There is a soullessness to airports--that I am certainly not the first to comment on—that does not characterize train stations, for example, which I find subtly romantic. In my younger days, when I traveled solo, I was often one of those people who struck up a conversation with a seatmate in the hope of making myself feel more connected. That idea of connection or grounding that’s so important to my psyche during flight (lest I float away entirely from my usual life?) can also come from a good book, of course. Choosing some light reading at the Hudson News in Terminal 8. The Hudson outlets are clean, well-lit places that feature shelf after shelf of glossy magazines, in addition to a decent range of novels and non-fiction. They also sell overpriced beverages, toiletries, and souvenirs. Everything feels new and temporary to me. With some few exceptions, I suspect there are no “regular” customers. It also seems highly unlikely that anyone would ask one of the polite, but brisk sales people for a book recommendation. Yet the Hudson outlet I visited at the end of December did feature a table with recommended volumes including the summer 2011 volume of Granta, which “…conjure[s] the complexity and sorrow of life since 11 September 2001” and The Tiger’s Wife by Tea Obreht, a National Book Award finalist, about a physician spending time in a Balkan country caring for children and unraveling a family mystery. For teenagers Newbery Honor awardee Gary Schmidt’s Okay for Now is featured. Without reading beyond the blurbs, I feel inclined to like this book as the protagonist, an alienated 8th grader in a new town, finds meaning in his search to replace some missing material from the town library. Recommended reading for the more serious-minded. The story of a New Yorker who falls in love with the Caribbean life. Frequently lively and entertaining, Wouk’s novel contains language we now find offensive—the names (perhaps not considered pejoratives by white visitors at that time) used to describe West Indians of African descent, for example, as well as simplistic depictions of some, but not all of these characters. Interestingly, the novel (originally published in 1965) was probably progressive or even liberal in its tone. And, Wouk doesn’t spare other racial, ethnic, or professional groups. One of his funniest and least attractive minor characters is a married English instructor named Sheldon Klug, who is courting the Papermans’ defiant and voluptuous daughter. Paperman’s friends were writers, actors, newspapermen, television people, and the like…[They] worked hard at dressing correctly and at reading the right books. Paperman and his friends, indeed, made a second career, beyond their professional work, of being up to the moment, and of never wearing, saying, or doing the wrong thing. This was not easy. In New York the right thing to wear or to read, to think or to say, to praise or to blame, can change fast. It can be damaging to miss a single issue of one or another clever magazine. For readers over a certain age, Wouk is probably better known as the author of The Caine Mutiny—which won Wouk the Pulitzer Prize and was the basis of a movie of the same name starring Humphrey Bogart--and Marjorie Morningstar. In addition to authoring a number of novels, Wouk has written on science and religion. In 2010, at age 94, he published The Language God Talks. Herman Wouk at a Book Festival in 2010. Also featured at the Cyril E. King airport bookstore were, not surprisingly a number of guidebooks to the nearby islands. For many passengers, the St. Thomas airport serves as a stopping off point on flights from the U.S., as a number of the smaller islands are not accessible by large aircraft. 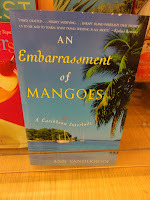 A first-hand account of a particular kind of life in the Caribbean also caught my eye. In An Embarrassment of Mangoes, Ann Vanderhoof describes her (and her husband’s) two-year voyage around the Caribbean, as they take a mid-life “time out” after putting their professional lives on hold in Toronto. As once again I was well-stocked with reading matter for the trip home I didn’t buy anything, but Mr. Stacked-NYC picked up this special issue of the Atlantic magazine that contains wonderful essays on the Civil War by Harriet Beecher Stowe, Henry James, and Oliver Wendell Holmes Sr., among others. * There are some things I truly love about flying—besides the fact that it can take me in a single night’s time from New York City to Venice, Paris or London—the feeling of limbo as you glide smoothly high above the ocean; the way the light fills the cabin when you rise above the clouds, somehow making the cramped space feel more expansive; gentle landings in a city sparkling with lights or an island surrounded by turquoise water; the sweet moment of wheels making contact with the tarmac. Wasn't aware of Herman Wouk's book about the Caribbean. Enjoyed your account of book stores in the West Indies and good to know airports stock more to read than "romance" and mysteries. There are things you love about flying! Way cool. 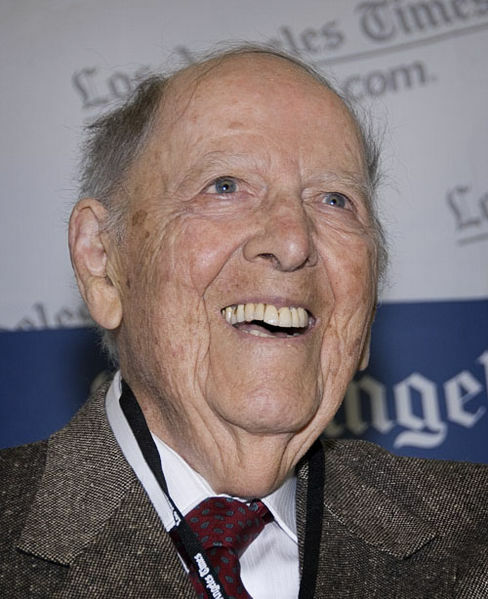 I have a humorous thought-association with Herman Wouk. A long time ago, SNL did a skit called "The Windy War", a take-off on Wouk's "The Winds of War". It was a war, and it was windy all the time. Everyone was holding on to their hat, walking slantwise, shouting to be heard, hair a mess. Short and funny. I'm also a big Caine Mutiny fan, have seen many theatre productions. Another New York City writer. Contact me at junast20@gmail.com.